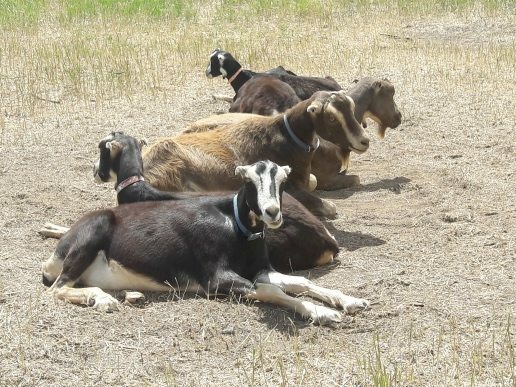 Imagine waking up on a Saturday morning to eight goats being walked on leashes down your street, heading to a local park where the honorary goat-welcoming committee awaits them. In Wheat Ridge, a western Denver suburb, this unusual landscaping goat crew turning heads is becoming a local attraction and is also educating communities on urban agriculture. In 2013, Wheat Ridge’s Five Fridges Farm was struggling with how to address an overgrown noxious weed problem they were facing. The land was in a tough spot for lawnmower access, and chemicals simply weren’t an option for the local organic urban farm. So, Five Fridges Farm decided to bring in a group of its LaMancha male goats to the 1.5-acre enclosure, where they spent several weeks grazing on weeds. 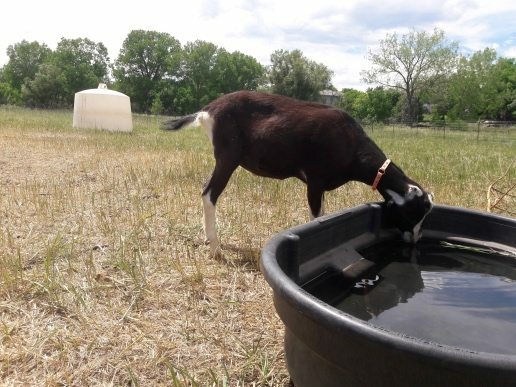 Using goats as landscapers has become a perfect solution to their problem and they are now being brought to graze in other open spaces within the community. Due to their unique digestive systems, goats are able to consume invasive weeds without redistributing any of the seeds in their excrement. As the weeds are removed, the goats enjoy a nutritious meal, and the land also further benefits from fresh manure for fertilization. Amy Weaver, owner of Five Fridges Farm, says the most surprising outcome of the project has been the community support that has erupted. Over the past few years, the goats have become a big hit with local residents, which flock to visit the hard workers cleaning up their parks. After hundreds of years of removing carbon from the topsoil, we are now concentrating on putting it back in.